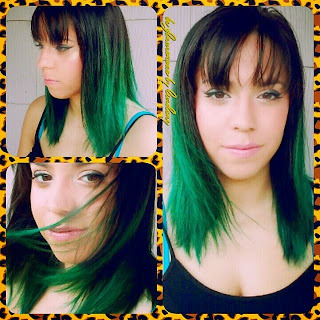 I freshened up my hair using some awesome washable hair colors from Splat Hair Color. 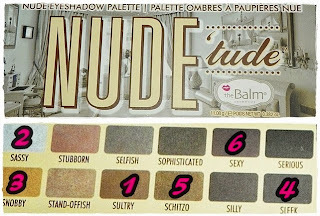 Check out the entire collection of shades. I love them and have used them for years. They are available online in drugstores and at your local drugstore. 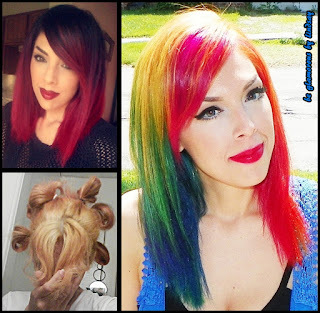 -If you are bleaching already colored hair, think of it as a wall that was painted and you need to change the colors but not the entire wall is painted, so don't bleach your entire head from root to tip, its a process and needs to be treated as such, bleaching is NOT a one step process for dark hair. - Keep in mind bleach is a corrosive substance and to use as little as you can to avoid damage. New growth, your roots, and your ends are the easiest to bleach, they will easily and very quickly be affected by the bleach, so start by bleaching the middle of your hair shaft if you have precolored hair. Stay away from the roots and the ends. Rinse and let dry, then do your roots and ends and any spots you may have missed. 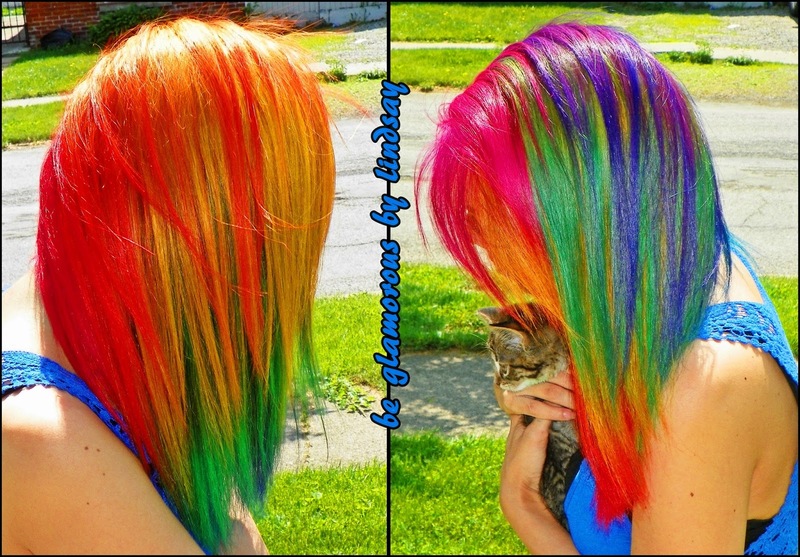 Then you are more then likely to have an acceptable canvas for vivid hair color shades. -Bleaching your hair at home is not for everyone, it takes practice just like doing anything for yourself, but it IS achievable. 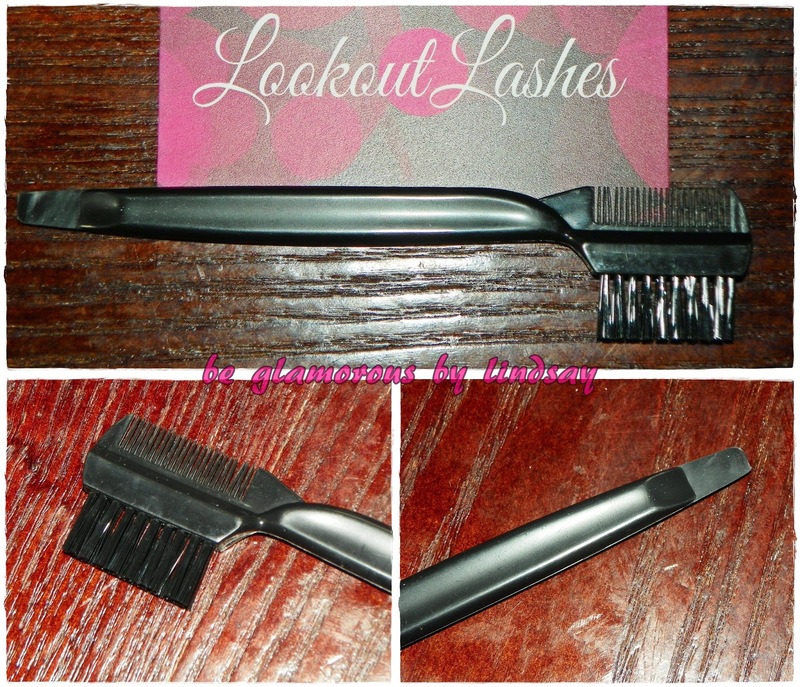 Thick black mascara, lengthens the lashes. Multifunctional twistable eyebrow pen and brush. 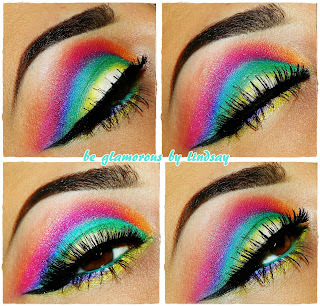 Blends wonderfully on its own and with other shades of color. Creamy smooth black twistable pencil in a cool leopard print design. 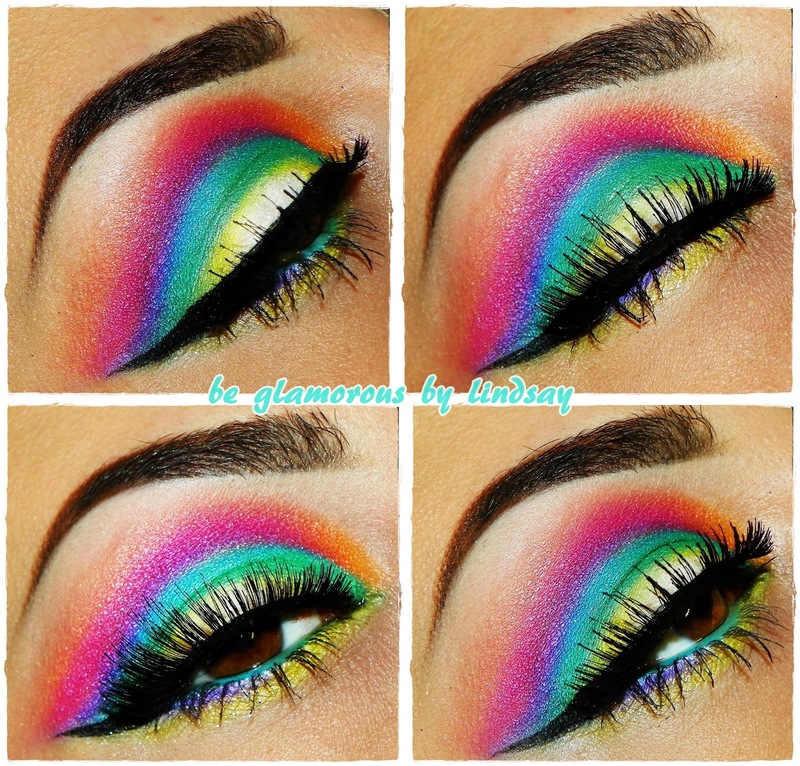 Top and bottom lashes in one kit! They are super affordable and have many designs available!! My package arrived safe and sound and within the typical shipping time of 5-7 days, but you can overnight it or adjust the shipping time. I was pleasantly surprised to see this tool. I didn't even realize this thing even existed! This is a mascara guard. 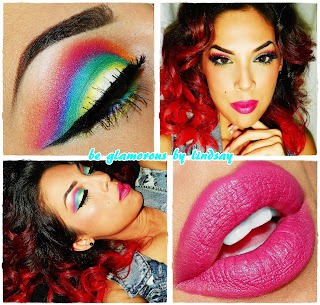 I demonstrate how I use it in my latest makeup tutorial that I posted below. 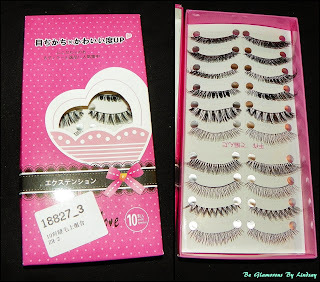 lashes as well as clean up glue from my lash line. Information from the Amazon store. 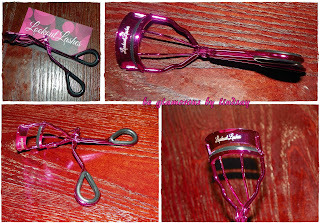 The curler itself has an extra wide curling panel to capture all lashes at once, it has a flattened arc to reach the roots of the lashes, the comfort rubber grips are removable for added convenience, the pink was added for flare and style, I designed the packaging myself, the curler was engineered to reduce "crimping" and increase curling. I threw in the bonus mascara guard and eyebrow/eyelash brush to give it a value effect and for a full-on eye glam kit feel. THE PERFECT EYELASH CURLER - Uniquely designed to perform better than any other eyelash curler on the market! 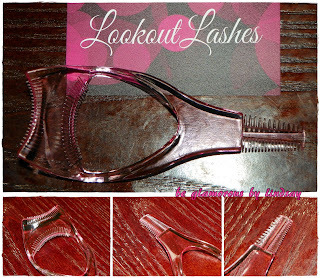 Our eyelash curler is even being used by professional and celebrity makeup artists all over the country! 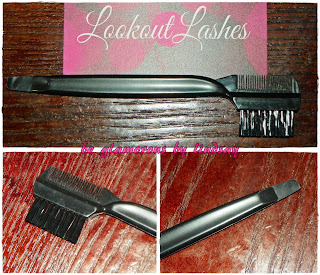 FREE MASCARA GUARD & EYEBROW-EYELASH BRUSH: Because we want you to get your money's worth! Why pay extra for these beauty essentials when you can have them for FREE?! 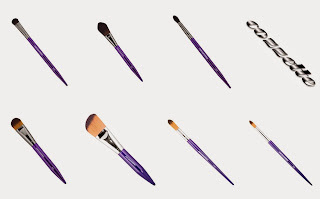 These tools will keep you free from messy mascara and ruffled brows or eyelashes. PAIN-FREE DESIGN developed to prevent pinching your eyelids and pulling out your corner lashes. 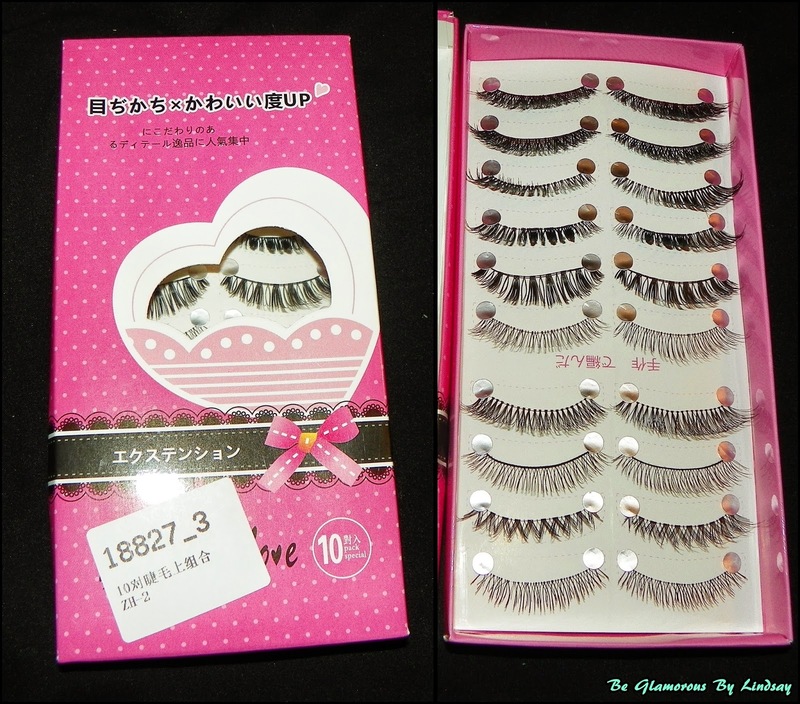 This creates the ultimate experience for curling your lashes with ease and comfort, time and time again. 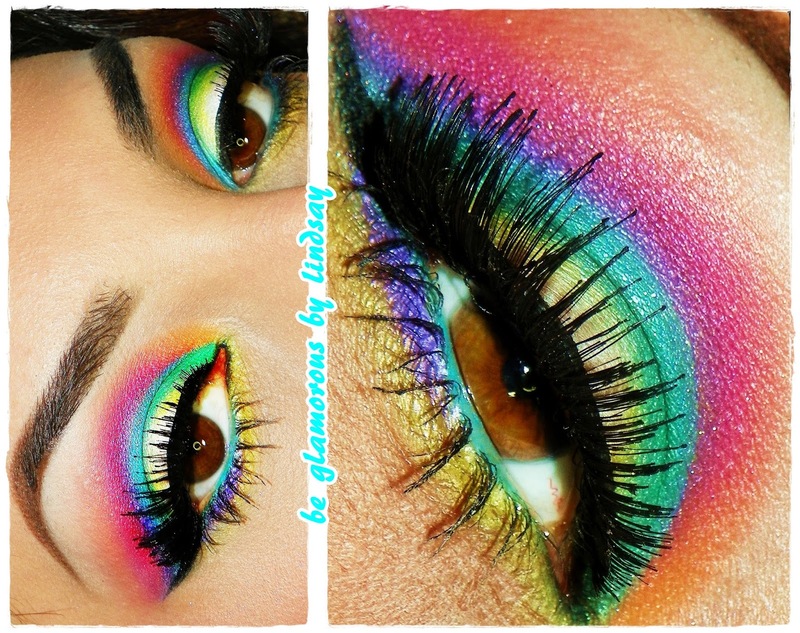 In 20 seconds, you'll have dazzling eyes! HIGHEST QUALITY CONSTRUCTION allows you to rest assured that your new beauty tool will withstand the test of time. Extra long-lasting curling pads are an included BONUS! We also added removable rubber comfort grips, because plastic and locking handles are just the worst! 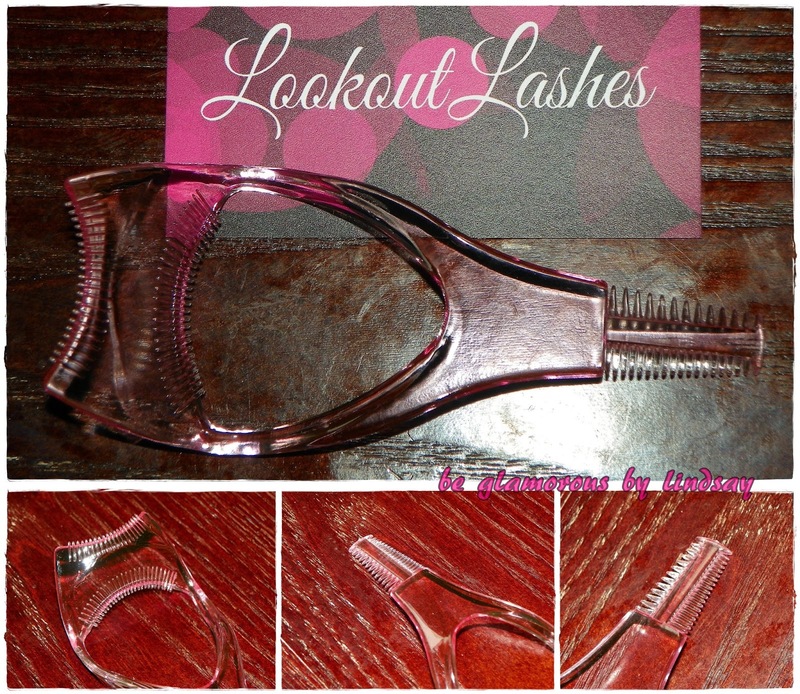 OUR LIFETIME GUARANTEE makes trying Lookout Lashes completely RISK-FREE!!! If you are not satisfied for any reason, contact us, and we will provide you a replacement or a full refund! And if you BUY 2 OR MORE NOW, you will instantly receive 20% OFF! Overall I highly recommend grabbing this kit for your beauty lover or for your own kit. Check out my latest makeup tutorial for demos using these dope products! Hello My Glamorous Friends! Welcome back! Today I have a gorgeous pair of shades to share with you. This cat eye shaped beauty is lightweight and make me feel super glamorous wearing them. I'll never need another pair of shades again. I love that I can barely feel them. They don't leave those annoying indents on your face after wearing them for a long period like all my other sunglasses do. LENSES: The new gradient lenses are the perfect combination of charm and originality. High quality with 100% UVA / UVB protection, these lenses enrich the beauty of the sunglasses design thanks to the special iridescent shades according to the projection of the light. MATERIAL: the material used is bamboo, known for its strength and durability. They are also coated with a resin that makes them more resistant, protecting them from wear and water where they can easily float. They weigh less than 20 grams (0,04 LB), feel like you are not wearing the glasses. SIZE: The measures are unisex, so all models can be worn by both men and women. Furthermore, the eyewear is provided with flexible hinges to allow a perfect adaptation of the legs to the various face sizes. My package arrived within 3 days, everything was safe and sound.